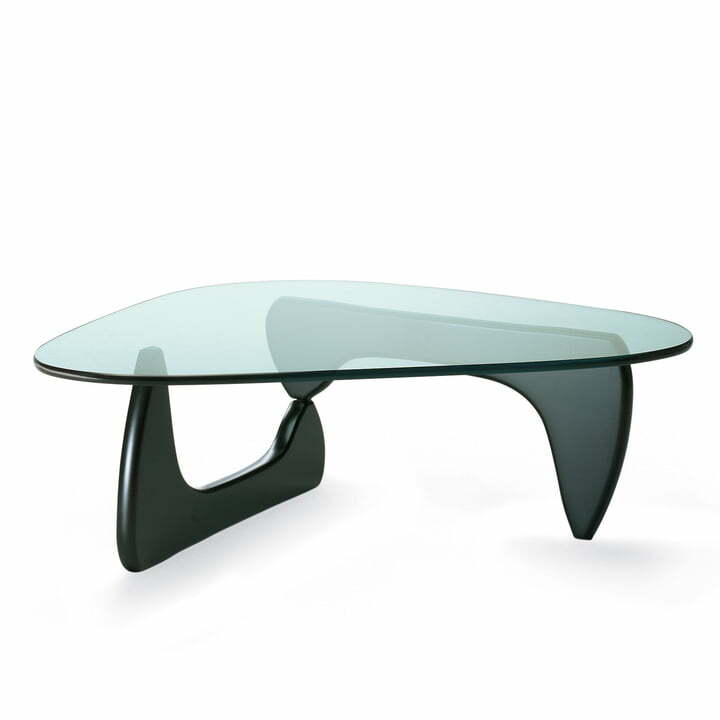 Noguchi himself described the Coffee Table as his best furniture design, no doubt because it is extremely reminiscent of the bronze and marble sculptures of the time, translating the latter’s biomorphic formal language unadulterated into a piece of sculptural furniture: glass tabletop resting on two identical wooden elements placed at right angles. Collection Vitra Design Museum, © The Isamu Noguchi Foundation. 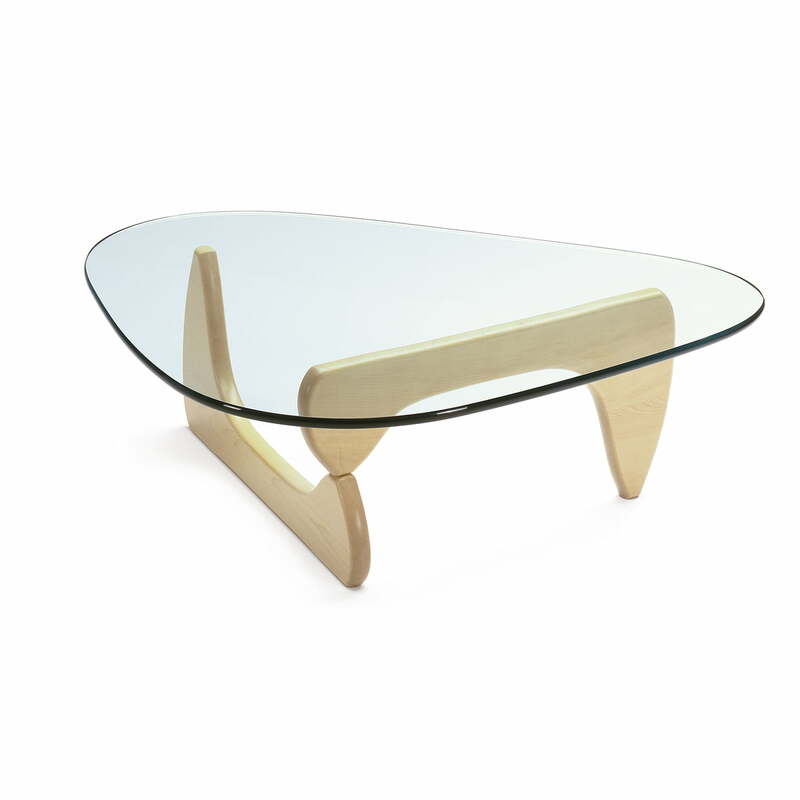 Material: Varnished solid wood base, 19 mm glass top with rounded edges. Single image of the coffe table by Vitra with the base made from black laquered ash wood. The sculptural design is from the designer and sculptor Isamu Noguchi. Single image of the Coffee Tableby Vitra with the base made from maple wood. 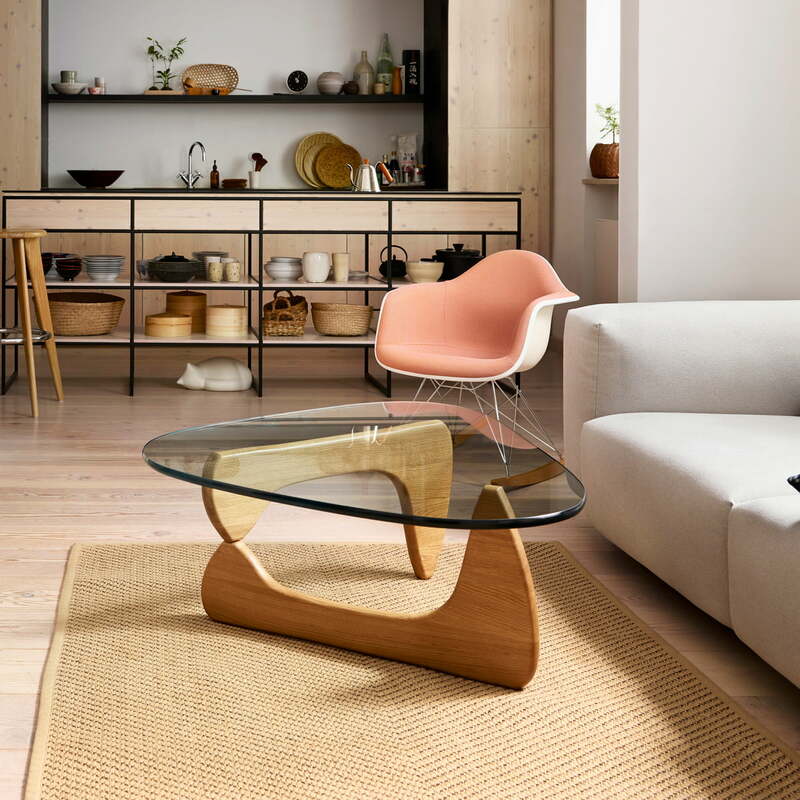 The designer Isamu Noguchi thought of the furniture in 1944 and created a sculptural table that today is still up to date. 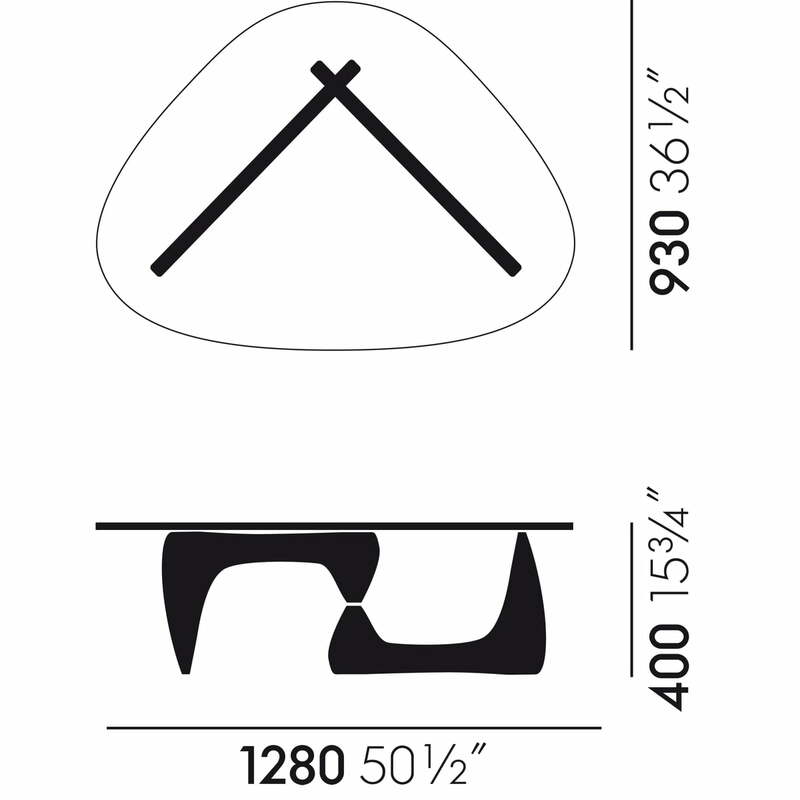 Top view and side view of the Vitra Coffee Table by Isamu Noguchi. 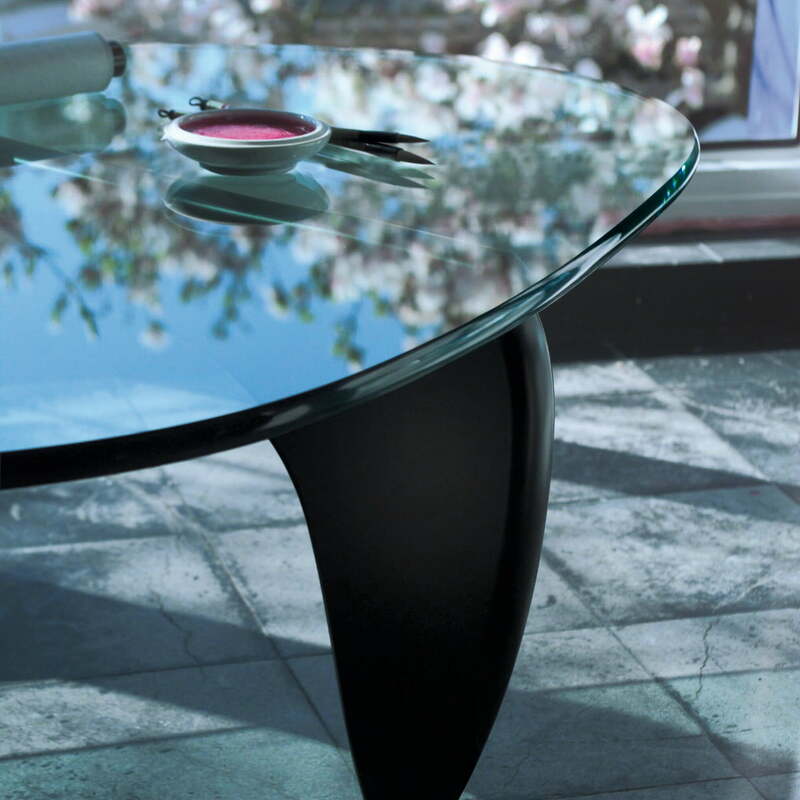 The base is available in different versions and the table is completed with a solid glass top. 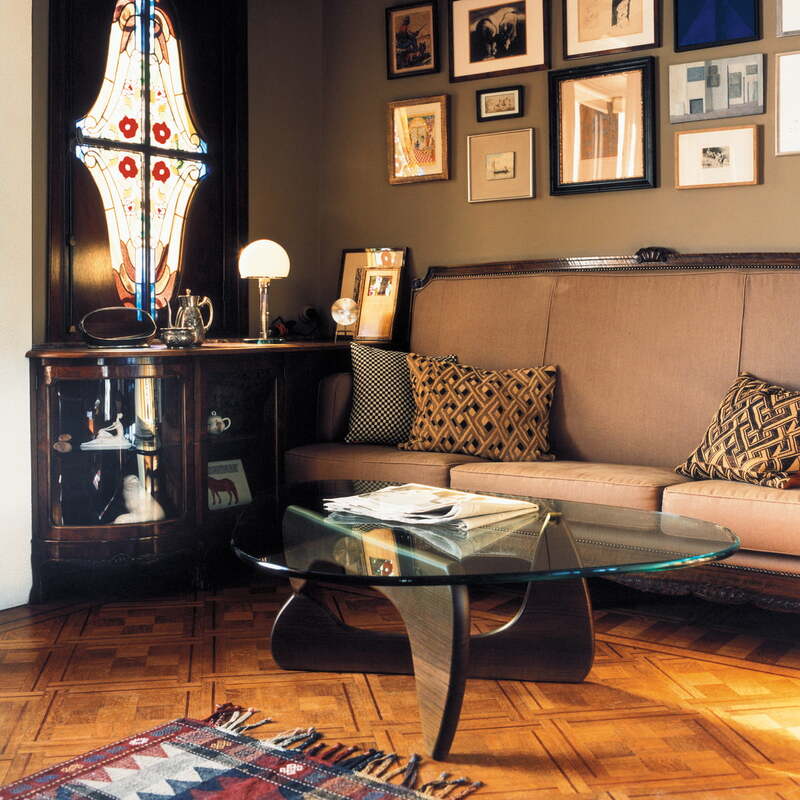 The American designer Noguchi had Japanese origins and described the Coffee Table as his best furniture design. 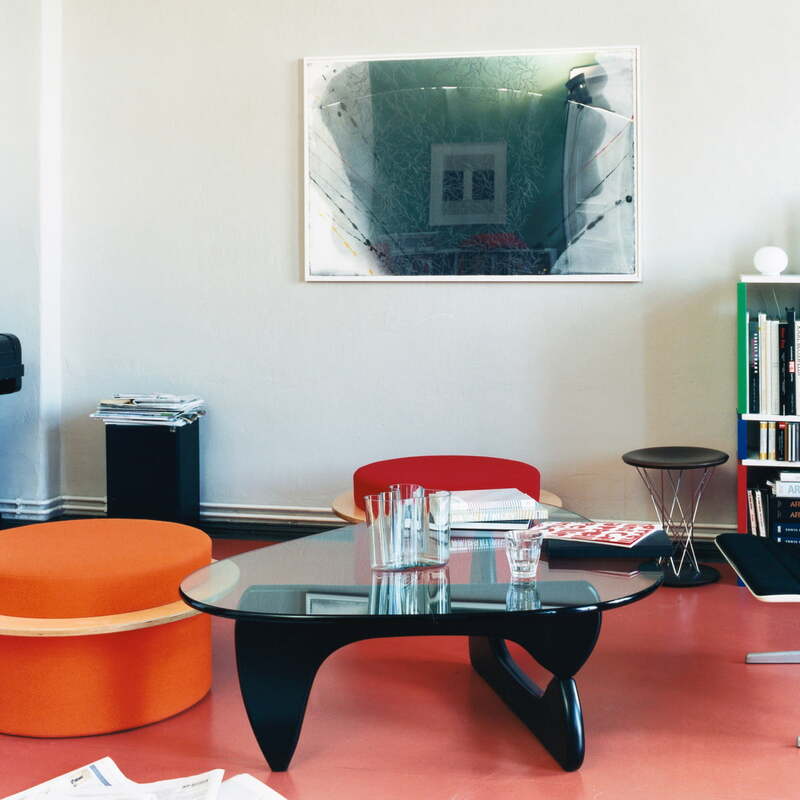 The sculptural design is a piece of the Vitra design musem collection. 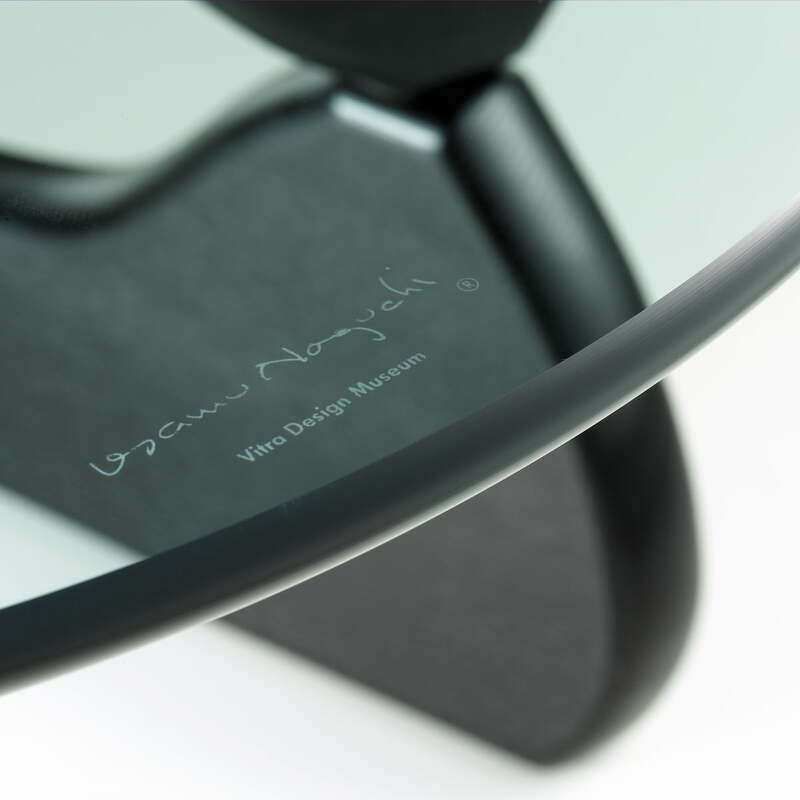 The designer Noguchi himself described Coffee Table as his best furniture design, no doubt because it is extremely reminiscent of his bronze and marble sculptures of the time, translating the latter's biomorphic formal language unadulterated into a piece of sculptural furniture. The Vitra Coffee Table consists of a sculptural base made of two identical elements from solid wood placed at right angles. On top a heavy glass is resting as the tabletop. The design from 1944 by Isamu Noguchi is part of the Vitra Design museum collection and it is still modern and up to date, thanks to the classic materials it consists of. The Eames Plastic Armchair RAR (full upholstery) from Vitra in the ambience view. With full upholstery, the rocking chair invites you to relax and linger.